Dog lovers unite! Chewy has everything you need for your lovable furball all available at the click of a mouse. Spoil your puppy with only the best in dog supplies for dog food, dog treats and dog toys. 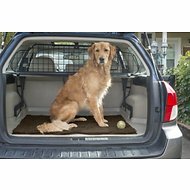 If you've been searching for microfiber dog crates, pens & gates, look no further. 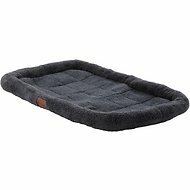 Among the wide selection we carry, one option to try is Pet Dreams Sleep-eez Plush Reversible Crate Mat. Key benefit: made with a special fill that will not bunch up or get lumpy after washing for ultimate durability and longevity. 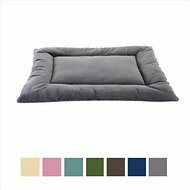 Another product is KandH Pet Products Self-Warming Pet Crate Pad, Gray. 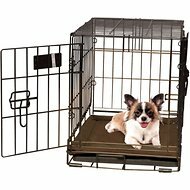 Key benefit: corner slits are added to ensure a perfect fit in your crate. Whatever it is you're looking for, Chewy has got you covered. Shop our wide selection of dog supplies today and treat your four-legged friend to a box of new goodies. For all your pet needs including microfiber dog crates, pens & gates, Chewy has you covered! We're here for you.